Better on the skin track but still needs some work. The 2019 Lib Tech Split BRD has all the makings of the perfect split. The board is lightweight, eco-friendly, super spirited and comes with a C3 Camber profile. What more do you need? Let’s start with what works with the 2018 / 2019 Lib Tech Split BRD Splitboard. Lib Technologies designed a fun shape that has a wider and longer nose than past splits in the line. If you ever a chance to ride the GNU Beast splitboard the Lib Tech Split BRD will be similar here’s what we had to say about the Beast in 2015. The GNU Beast has camber under your feet and a slight rocker between, called mellow banana. The camber under foot is awesome, and the added float of the rocker is noticeable in pow and heavier snow. The 2019 Lib Tech Split BRD is pretty much the same. But, here’s where things get sort of interesting. Splitboards understand that camber really helps on the skin track. Most likely I’m starting to sound like a broken record with the splitboard profile things and touring. However, considering we spend 75% of the day or more going uphill, the way the board performs on the skin track needs to be the #1 focus moving forward, even if it’s not as rad as sending it downhill. Or at least that’s how I feel. So what did Lib Tech do? They listened to the feedback from their customers, our past reviews of the Goldmember and Travis Rice Splitboard and so forth. When the splitboard community found out Lib Tech was making a new splitboard with a profile that was more skin track friendly people started asking questions, would it work? Anytime you ride a Lib Tech Splitboard or Lib Tech Snowboard it feels like you’re high on Red Bull. For some reason, the boards are just built for crushing the entire mountain. They rip, regardless of the board you jump on from Mervin Manufacturing especially Lib Tech it’s going to perform well out of the wrapper. For this splitboard test, I rode the 162 Wide version of the Lib Tech Split BRD, and I forgot it was Wide until I grabbed it for this review. What’s that mean, well the board rides much smaller than it is. Available in 3 sizes, 154, 159 and 162. 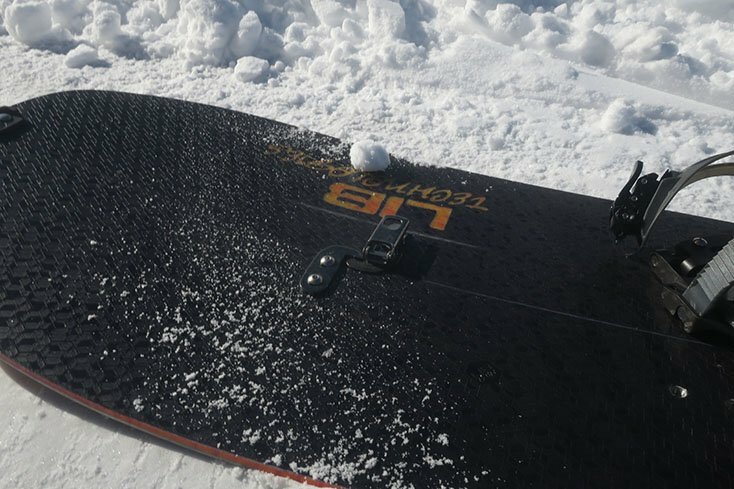 Lib Tech was able to make this splitboard even more freestyle friendly by lightened the amount of material found in the top sheet at the tip and tail of the Split BRD, they’re calling this tech: Ultra Light Spin Slim. 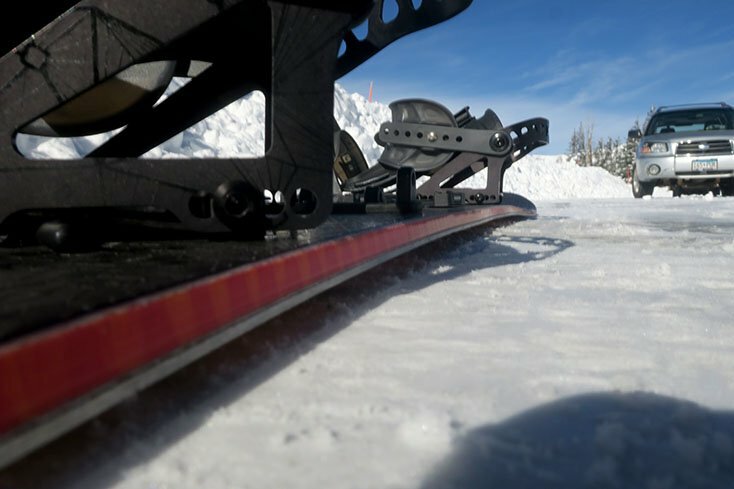 Toss in Magne-Traction contact points, 7 of them on each edge and you have boards (built in the PNW) that can chew through the heaviest snow around Baker and slice through cold smoke in Colorado while holding an edge on icy lines when you need it most. Pretty much perfect right? Paging the manufactures, if you are going to manufacture, market and sell splitboards consider making skins to go along with the splitboards. Or team up with a skin company. Why do you ask? Well, a couple of reasons. Jones Snowboards, Furberg and a few others (please leave a comment) are sending skins out that are factory cut to the splitboard length. Personally, I hate cutting skins, as if you mess up even in the smallest place you’re looking at potential skin failure. I prefer to take them to a shop and have the pro’s cut them for me. Guessing most splitboarders just go to town with the mail opener tool and hope for the best. Ok, so now the skins have been cut if the bottom of the splitboard has a wavy profile, it’s going to be tough to get a skin to sit flat against the ski. Even more so if the board has rocker at the tip and tail and then camber next to it, the change from profiles is far from skin friendly. I’m not saying we need to go 100% rocker or 100% camber, BUT the profiles must be able to link up with each other with skins attached. This seems to be a major issue with Never Summer and Lib Tech and any other brands wanting the RC, Banana etc… tech. As splitboarders where do we go from here? The 2019 Lib Tech Split BRD can handle the deepest of powder you throw its way. This board really should only be ridden in such conditions, and splitboarding, in general, should be that way. With an Eco-conscious build, Lib Tech’s bio-plastic top sheet which is made from you guessed it, beans offering the industries highest strength-to-weight ratio, Birch Sidewalls, and the super light Paulownia wooden core. If you’re in the market for a Camber3 directional splitboard built for crushing deep snow. The Lib Tech Split BRD ($849.00) should be on your wish list. 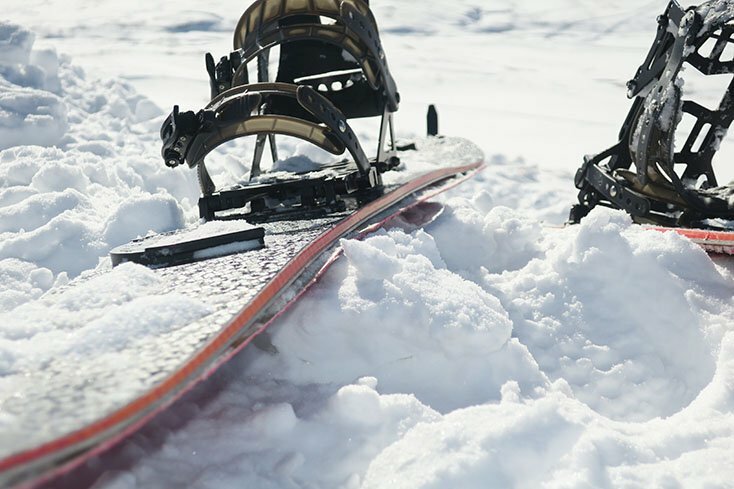 Is Travis Rice the best person to be following advise from when it comes to splitboarding. The guy is a beast and one of the best snowboarders of all time, but he’s not a splitboarder. Maybe when he retires he can go splitboarding. For now, helicopters and sleds are the most efficient tool for taking him to his job. The same can be said for the rest of the professional snowboarders here in the Jackson, Hole as they really require a solid board for their film parts, the idea of splitboarding to professional snowboarders that need to film a video part each season isn’t really worth the time or effort. How much do these weigh? Why is it not listed anywhere? What are they hiding? Can you throw it on a scale for the good folks out there. We don’t have the board anymore, a little heavier than other splits with the big nose. I would just rather toss the shop guys $20 to have them dialed in. I pay my mechanic to change my oil too, although I can do it. Most likely all the brands making splits will continue to mellow out their profiles. Then, this Splitboard is better than the Travis Rice models ?? How is it if you compare this splitboard whith the Neo Slasher . Do you have reviews with the Hovercraft Split or Jones Solution? 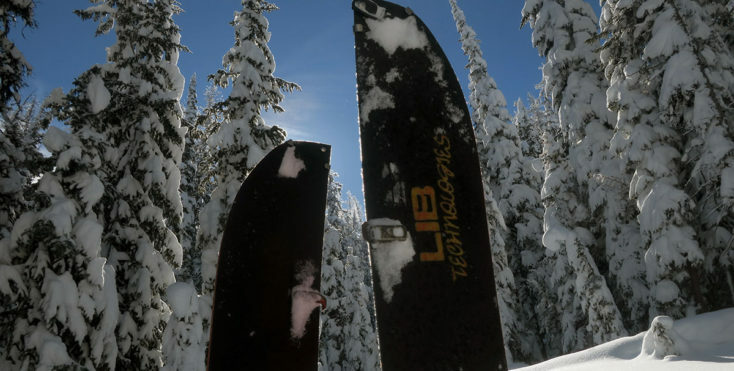 The new Lib Tech Split BRD is better than the previous Travis Rice Splitboards from Lib Tech. 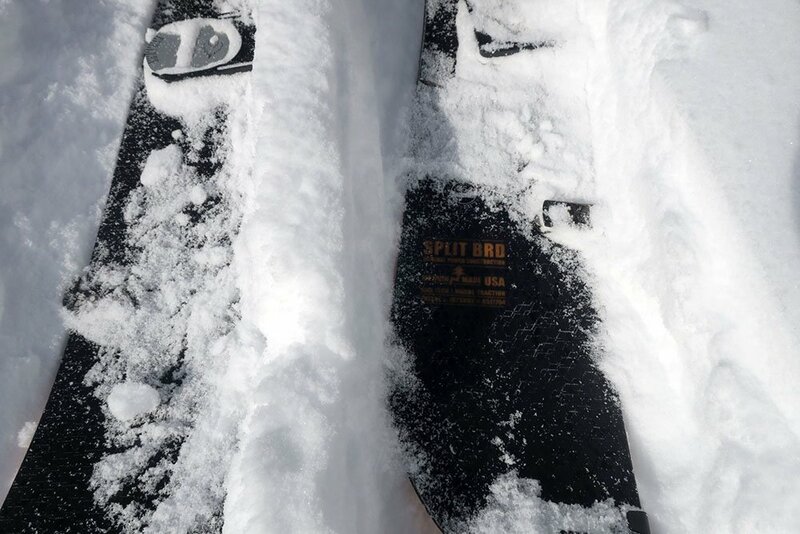 They most likely are not branding it as his splitboard now as he’s more of backcounty filming dude than splitter. This board and the Neo Slasher are very different. I haven’t tried the Hovercraft yet, they are a little too pow specific for my type of riding. The Solution is a fun board, I reviewed one a few years back. I’ m from Spain, I usually ride in the Pyrenees, here there are a lot of days on hard pack, less days of powder. Right now I don’t have any Splitboard. I’m 1.80cm height and 80kg weight. I want to buy the Lib tech Split BRD 159. I don’ Know if that splitboard is apropiate for me. I like to ride powder the most. 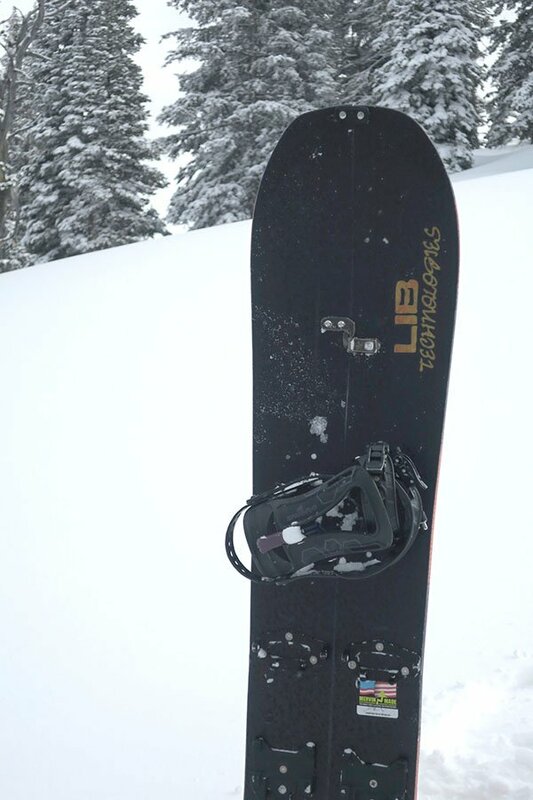 As Snowboard I ride a Lib Tech Speedodeeps 162, amazing in Powder and the hard pack. Your videos in Wyoming are so cool , amazing powder that you have there !!! The first thing I want to do is rent a splitboard ( Jones or LIb-Tech maybe) for test and ride it for two days if I can. 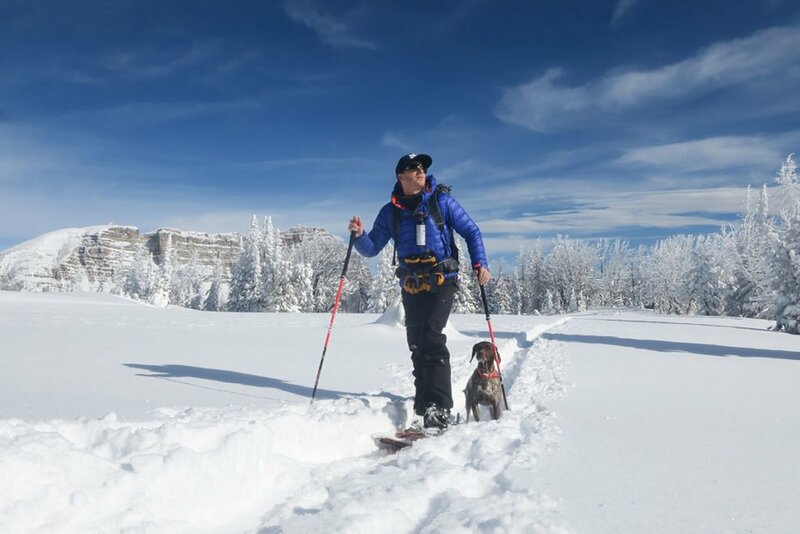 Here in the Pyrenees we have a Store where you can buy o rent snowboards and splitboards. After the end of the seasson I will buy one, when the price is better, right now the splitboards are expensive. Thank you again for the answers! !